Liquid intake is very important. Including a correct amount of Fruits and juices can benefit in Ramadan. The break from food and water till iftar results in low energy level and the body demands for an immediate source of energy that can refresh you and provide you instant revival. Dates and juice serving does the job well and brings the blood glucose to the normal level. The balance of water and minerals in the body is maintained by the help of juices and fruits. Taking too much of sherbet, fruit juices and sweets have been found unhealthy, for this reason keeping a balance is important in every way. People are now well aware about the nutrition value of fruits and fresh juices. Anti oxidants, vitamins, calcium, potassium and other minerals in fruits and juices can help in keeping the balance in our bodies during Ramadan. Due to an alteration in routine along with a change in eating and sleeping habits a person may feel tired and exhausted. Fruits and juices play a vital role in getting rid of fatigue and tiredness as they supplement the nutrients which are essential to resist fatigue. Fruits and its juices have been used for healing treatments since long. The fruit therapy is nothing new to the world now and for this reason we can use this delicious and healthy treat as a therapy to provide us a pack of refreshment and nutrients in Ramadan to boost our energy level. We have compiled for you some therapies and benefits you can get from the fruits that will be available this Ramadan so you can find out how fruits and juices can benefit in Ramadan. Apricot is also known as the super healing fruit which is a quick energy fixer. It contains a good amount of iron, copper and potassium. Apricots can be taken at Iftar time as it also aids digestion. A healthy snack that contains vitamins and is said rich in potassium. Bananas can be taken at the time of Sehri or Iftar both as it provides great deal of energy for your body. These little cherries are full of minerals and vitamins, great in taste and low in calories. You may have a cup of cherries after Isha prayers and Tarawih which will give you a fat free treat of nutrients. How can you forget orange juice and lemonade in Ramadan? 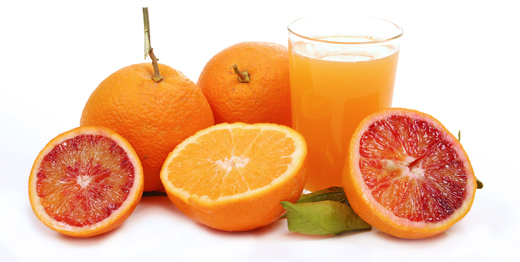 Vitamin C and calcium along with phosphorus and some fiber is what you get in a glass of citrus fruit juice. Iftar is the best time for a chilling glass of citrus juice that can revitalize your body and rejuvenate the taste buds. King of all fruits is a special treat available in Ramadan this year. A bowl of chill slices of mangos in Iftar means a natural way to energize your system as it contains fructose. Mangos have fiber which may help in digesting the oily and heavy intake in Iftar. Isn’t it the yummiest way to break your fast? Melons are now mostly available round the year. You can make a lip smacking glass of melon juice for iftar or have it diced after Tarawih to kill your false hunger. Experiencing digestive issues in Ramadan? Papaya fruit therapy can aid you with its powerful Papain enzyme. This fruit is said to be amongst the most powerful food available in terms of being nutritious. Diced peaches or a Peach cooler provides a good source of fiber. Iron and fructose helps in provision of energy. Peaches may help in protecting the stomach in Ramadan from the inflammation caused by changes in eating and sleeping habits. As we have already discussed how important it is to include fruits and juices in our daily Ramadan routine, we now know how important it is to include liquids to avoid constipation and dehydration in summer Ramadan. Warning sign is the dark yellow urine which indicates that you are lacking in the liquid intake and need to increase the amount of water and fruit juices from the iftar time till Sehri. We have for you some fruit juice treats and a few delicious drinks recipes to keep you going this Ramadan. Diabetic patients or people suffering from any other health issues must consult their doctors before opting for sweets and juices. Keeping a balance in everything is important to stay healthy and fit. Cool sweet soothing mango juice which can be made in no time. Prepare the mango puree and freeze it for later use in Ramadan. This can save your time for ibaadat and provide you with a mango chiller in no time just before Iftar. Take good sweet ripe mangos. Peel them and dice into small pieces which are easy to blend. Pour in some water, sugar if needed and mango chunks in the blender. The puree is now ready which can be mixed with crushed ice and some chill water when you need to serve your juice. If you want to freeze your puree for a couple of days and prepare a refreshing mango squash or a mango cooler, we have another recipe for you. You need 3 medium sized mangos diced in small chunks to be added in a saucepan with about 500 ml of water. Bring to boil and when it starts boiling cover the lid of the saucepan while turning down the heat. On low heat let the mangoes simmer for about half an hour and check with a fork if the mango chunks are soft enough. If the mangoes turn soft before the stated time you may take the saucepan off the heat. Now blend the liquid with the chunks in a blender after it cools down a bit. Add 1 small pinch of salt as a taste enhancer and sugar according to your taste while blending. Strain the juice to remove the concentrated puree and leftovers if any. Refrigerate and serve chill. You may add water according to the desired consistency. Refreshing lemonade can easily be prepared without any hassle. You can prepare lemonade in the afternoon and refrigerate it for a cool drink at Iftar. It helps in controlling blood pressure and is said to be one of the best solutions of dehydration. Preparing lemonade is very simple. You just need to blend water, lemon juice and sugar with crushed ice and serve with some mint leaves as a garnish. Going out for a walk at night in Ramadan or have planned an outing at night? Try coconut water instead of a fizzy drink which will cool your system and re-hydrates your body. It also helps in making your immune system strong in summers. We are lucky to have watermelons available throughout the year now. This fruit is a great source of vitamins and has a great cooling effect. Watermelon helps in protection from cold and provides energy. It is a good way to stay hydrated and is easy to prepare. Watermelon juices are said to be the most summer friendly drink. If you have the Apple juice machine in your kitchen then watermelon juice is a 5 minute job for you. Just cut your watermelon removing the hard green covering and squeeze the chunks in the machine. Here you go! The juice is on its way to make your iftar special. You may add tiny frozen watermelon chunks in the juice just before serving. Another idea is to pour some watermelon juice in an ice tray and let it form ice cubes. Add these watermelon ice cubes in the juice to beat the heat. You can also prepare the juice in a blender. For that you need to cut the watermelon chunks and remove its seeds. Now add them in the blender with some sugar or honey and blend well will crush ice. You may also prepare cucumber juice, peach juice, pineapple juice and carrot juice to keep you hydrated and cool in Ramadan. Avoid drinks with caffeine as the withdrawal symptoms while you are fasting may cause headache. Caffeine drinks in Sehri may make you feel thirsty soon. So this Ramadan, try to add more fruits and juices in your diet and learn how fruits and juices can benefit in Ramadan.